Big Bazaar, India’s largest retail store is back with another sale. The Future Group’s Venture has launched the Big Bazaar Smart Search Sale in partnership with tech giant Google. The Indian retail store giant starts off the sale on Google first later the sale goes off to the retail outlets of Big Bazaar. All the offers of Smart Search Sale will be offered only through Google search ads only. The sale would commence from on September 1st and will be valid until September 3rd. The Smart Search Sale mainly targets tech savvy customers who mostly use technology and the internet to buy and search things. Customers need to type Big Bazaar and the item they want to buy in to Google. To avail the discount in the SMS, customers should visit Big Bazaar stores nearby. 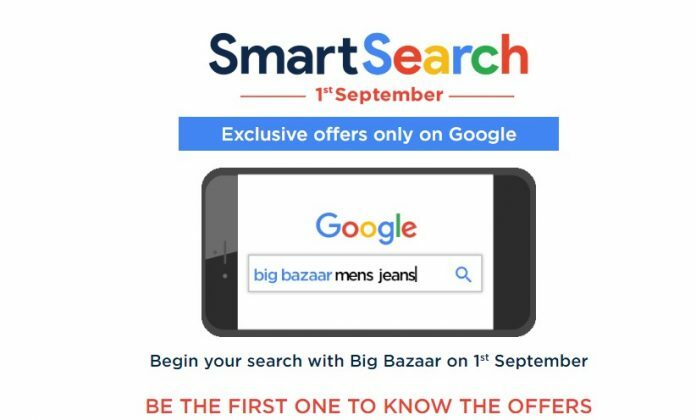 However, the discounts and other offers in the smart search sale are not availed through the Big Bazaar website. The Coupon code is only valid for 2nd and 3rd September 2017 from 10AM-10PM in all Big Bazaar stores across India, the company mentioned under Terms and Conditions of the offer. 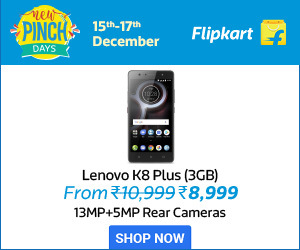 Customers can go check the link http://www.bigbazaar.com/smart-search to get complete details of the sale. All offers available on Smart Search will be offered only through Google search ads on 1st September only. Only one offer can be used on one mobile number. No two offers can be used through one mobile number. Prices/ Offers may change from time to time. The offer associated with the coupon code has to be redeemed in full if the bill value exceeds the voucher value, then the remaining amount can be paid through cash/card. The coupon code/voucher shall be redeemed on the single bill. The voucher has to be shared with the cashier at the billing counter.